Assembling the world's most prestigious data and analytics talent, available to work on-demand. We are data missionaries based in Harvard Innovation Lab, providing human talent to help organizations optimize their hiring of data experts and solutions providers. We launched Experfy to bring together the world's most prestigious analytics talent that not only possesses algorithmic skills but also deep domain knowledge. We want to help enterprises hire the world's best analytics talent to increase speed of decision making, manage risk and understand customer needs. We are fundamentally disrupting how big data consulting is done today. We empower both clients and data experts by bringing them on a common platform, which minimizes administrative overhead and ensures full confidentiality. Experfy is here to usher a new era in which high-end consulting can take place in the cloud, on-demand. Sarabjot drives the overall product vision, strategy and growth for facilitating engagements between big data talent and enterprises. She is passionate about disrupting traditional models of consulting in a deeply fragmented analytics and BI market. Sarabjot draws upon fourteen years of experience in creating enterprise value; innovating new business models; brand positioning; digital marketing; and using technology to translate business complexities into actionable strategic solutions. Before joining Experfy, Sarabjot co-founded Academic Room, a platform that curates data within communities of practice and used by academics from over 200 countries. As the CEO of a Boston-based digital agency, she was responsible for a broad portfolio of clients such as Harvard University, EMC, Computer Associates, and Commonwealth of Massachusetts. During the course of her career, she has contributed significantly to over fifty software projects, and interactive products. She has also served in various strategic and consulting positions at Citgroup, State Street Global Advisors (SSgA) and Fidelity eBusiness. At Fidelity eBusiness, she helped build the industry's first web-based wealth-management platform that brings together portfolio management, CRM, financial planning, portfolio rebalancing and trading into one unified workstation. 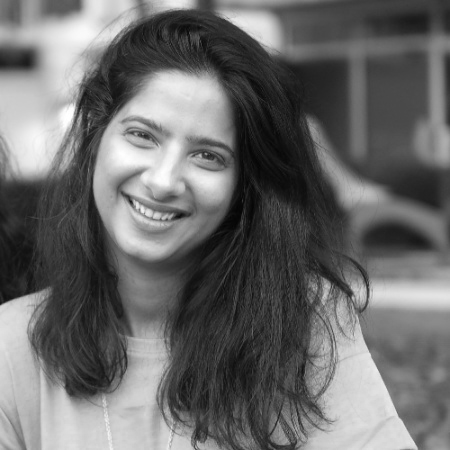 Sarabjot has a Masters of Science degree in Applied Sciences from CCSHAU, India and digital marketing training from Rhode Island School of Design. Jothi Periasamy provides leadership to Experfy's growing community of data experts and solutions providers, while leading the company's sales and recruitment efforts to establish Experfy as a preeminent platform for delivering on-demand big data and analytics consulting engagements. He served as a Managing Director and global innovation leader with KPMG's North America Advisory Practice and Innovation Center. Before KPMG, he was the Director of Enterprise Intelligence for E&Y. In addition, he has held leadership positions at Blue Shield and Deloitte. 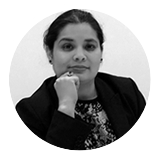 Jothi has deep "hands-on" subject matter expertise in big data, predictive analytics, cloud technology and in-memory computing. Jothi is a MIT SLOAN and MIT CSAIL learning facilitator for Artificial Intelligence for business courses to the global learners. Jothi has a deep experience in developing groundbreaking cloud-based, “end-to-end” AI platforms to enable digital transformation within the enterprise. Adam is an expert in international infrastructure, trade, sustainable technology, and governmental relations. Amassing 15 years of unique time and place experience in India, Kazakhstan, Dubai, Egypt, Germany, France, Spain, Switzerland, UK, and Canada, he has managed projects for, or on behalf of, the U.S. government, as well as private and public entities worth over $1B USD. He has been recognized by President George W. Bush (Presidential Nomination 2004), and his socioeconomic and geopolitical advisements have followed former U.S. Secretary of the Treasury, Hank Paulson in global interviews. Adam has given presentations at Harvard University on the National Debt in the United States, International Trade and the US-Sino Deficit and the Remedies, Blockchain Technology and the FDIs Brightest Emerging Market (India). Adam holds degrees from The Pennsylvania State University (Electrical Engineering Technology|Communications) and Harvard University (Economics) and is a Master's/Ph.D. Candidate at Tufts Flecther School of Law and Diplomacy. Ibrahmin works with the leading industry players to build an ecosystem of analytics, blockchain and IoT companies to maximize consulting and training value for Experfy’s clients. Ibrahmin works on a range of initiatives such as bringing on board thought leaders in the emerging technology space to create specialized training programs for the industry. 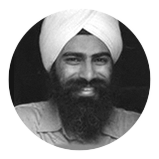 Before coming to Experfy, Ibrahim worked in telecom and construction industries providing project and risk management expertise. 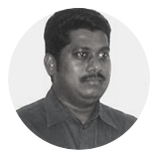 He is a graduate of Certificate Program in Project Management from UC Berkeley and is certified as a Project Management Professional from Project Management Institute. 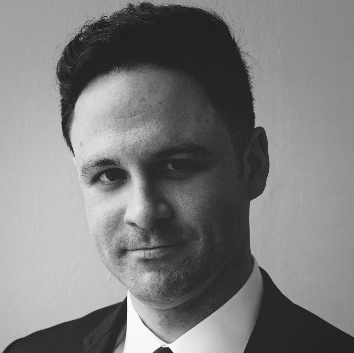 Michael Sable is an MIT-trained PhD/MBA with a passion for Big Data and mobile telephony. A two-time MIT $100K Entrepreneurship Competition semi-finalist, Michael enjoys working in teams with talented people. He is primarily responsible for identifying, developing, and closing new potential customer relationships for Experfy, maintaining contact with appropriate persons, and generally undertaking all necessary actions to ensure the company's growth. 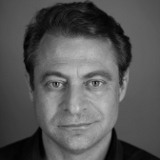 Named by Fortune Magazine as one of the World's 50 Greatest Leaders, Dr. Peter Diamandis is the Chairman and CEO of the XPRIZE Foundation, which leads the world in designing and launching large incentive prizes to drive radical breakthroughs for the benefit of humanity. Best known for the $10 million Ansari XPRIZE for private spaceflight, the Foundation is now launching prizes in Exploration, Life Sciences, Energy, and Education. Diamandis is also the co-Founder & Executive Chairman of the Singularity University, a Silicon Valley based institution teaching graduates and executives about exponentially growing technologies and their potential to address humanity’s grand challenges. Diamandis recently co-Authored Abundance – The Future Is Better Than You Think. Diamandis has founded or co-founded many of the leading entrepreneurial companies in this sector including Zero Gravity Corporation, the Rocket Racing League and Space Adventures. He also counsels the world’s top enterprises on how to utilize exponential technologies and incentivized innovation to dramatically accelerate their business objectives. Dr. Diamandis attended MIT where he received his degrees in molecular genetics and aerospace engineering, as well as Harvard Medical School where he received his M.D.